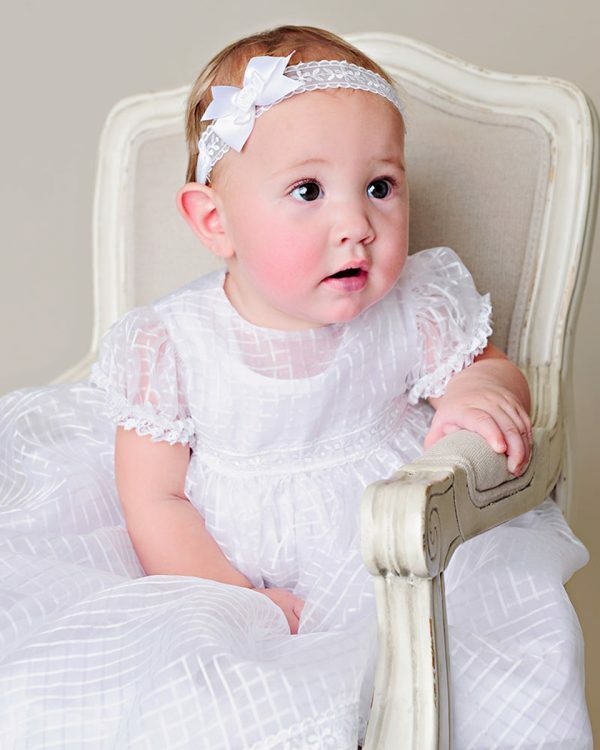 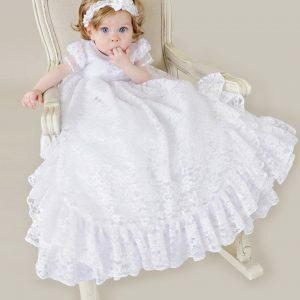 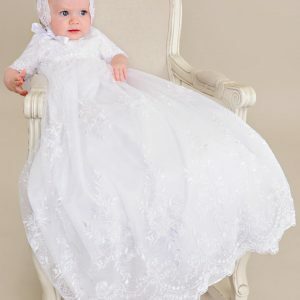 This dainty Christening Dress is perfect for your baby’s Spring and Summer events. 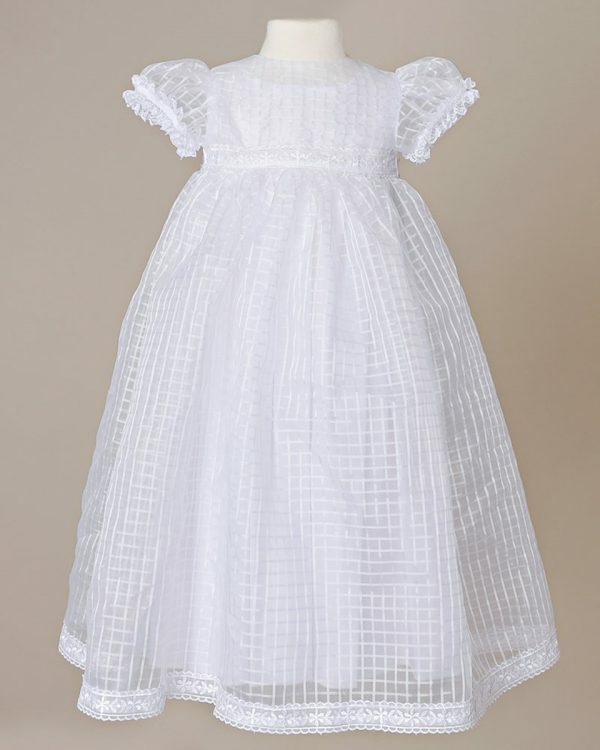 The lightweight sheer nylon dress overlays an ultra soft cotton slip. The satin bow headband adds the perfect touch to her angelic head. 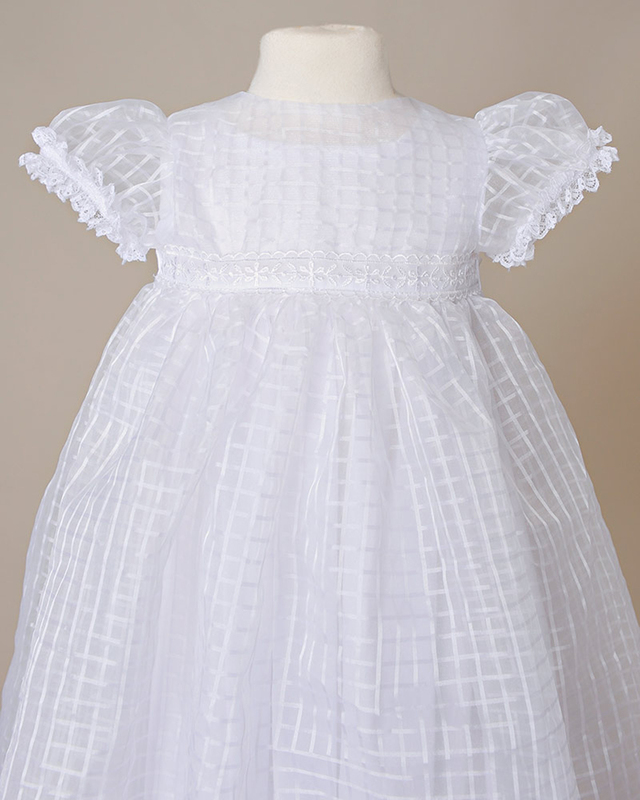 An added monogram will peek through the sheer dress–so cute!